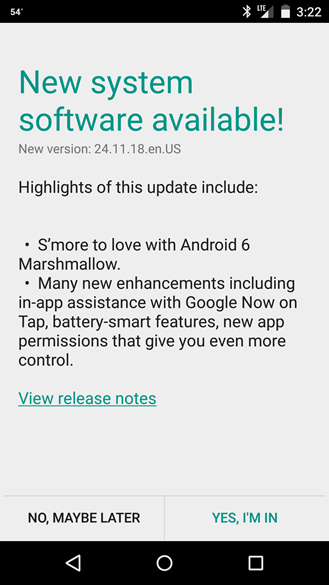 Like the updates to the international version of this phone and the 2015 Moto X Style/Pure Edition, Motorola's update notes don't say much beyond the fact that the phone is being upgraded to Marshmallow. (Oh, and there's a smore pun.) That said, Motorola's phone software tends to be extremely light on customization compared to the likes of Samsung, HTC, and LG, so there's a pretty good chance that any problems users were experiencing came from AOSP code rather than manufacturer software. 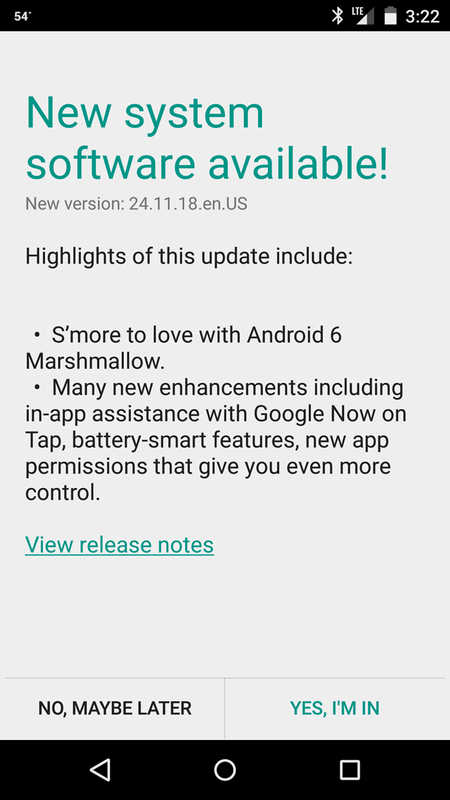 All the standard Marshmallow features should be in the update, more or less untouched. Remember that any modifications to your system software after Android 5.0 will cause an over-the-air update failure. 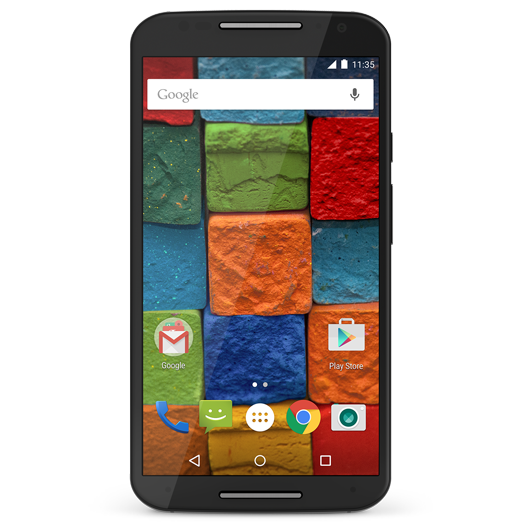 (Motorola provides flashable recovery images for the Moto X 2014 Pure Edition if you'd like to return to stock.) It may be a few days or a week before you see the over-the-air update come to your specific device.